Your Best Source of Vintage Nursery Design Inspiration! Lots of Nursery Pictures Submitted By Our Readers and a Celebrity Baby Room! 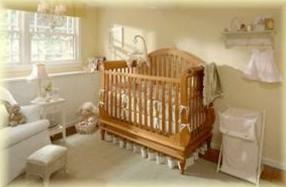 Are you thinking of using vintage decor in your baby room and you need nursery design ideas? Do you need inspiration and suggestions? Then you've come to the right place! 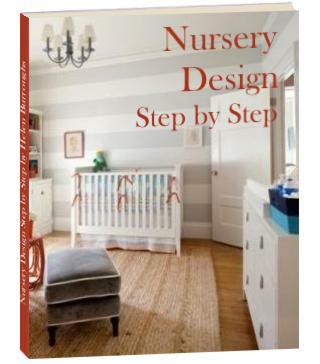 This page has lots of beautiful nursery pictures to get your nursery design going. 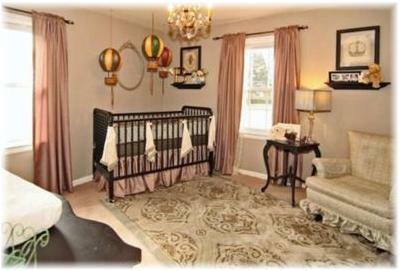 This baby nursery inspired by vintage decor was sent to us by Donna from Texas, USA. 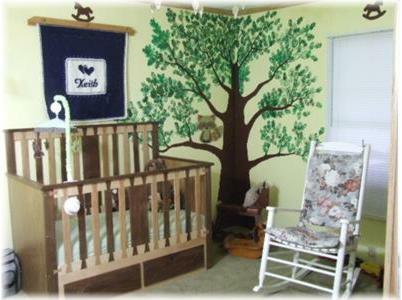 This tranquil nursery design was sent to us by Mark and Kat Phillips. Look at the hand made bird mobile in the corner. 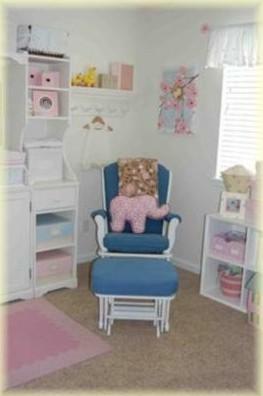 This baby room design was sent to us by Sarah from Michigan, USA. There are lots of cute knick knacks in this vintage nursery. 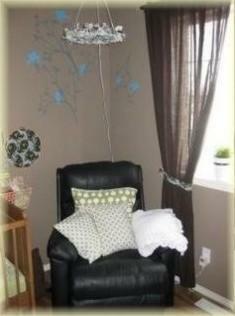 This bird inspired baby room was sent to us by Amanda Barkey from Calgary, Alberta, Canada. This clever nursery design using vintage alphabet cards was sent to us by Kellie Reynolds. 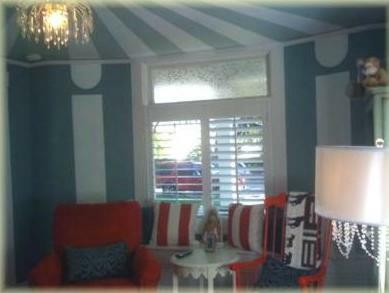 This striped circus tent baby room design was sent to us by Jennifer Grasso from Pasadena, California, USA. 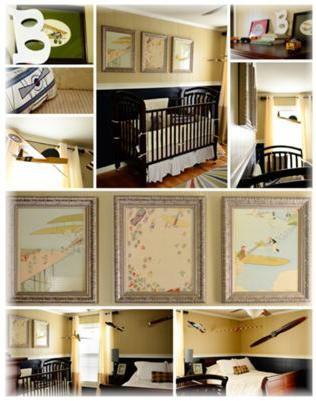 This nursery design inspired by vintage decor was sent to us by Carissa Wentworth from Brighton, CO. This Nordic nursery with antler horn tie backs was sent to us by Katie from Minneapolis, USA. This vintage travel inspired nursery was sent to us by Kaysie from Dallas, Tx. 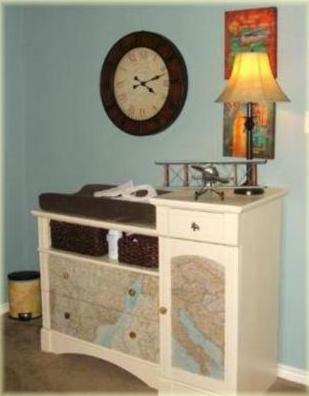 I love the changing table with the maps! 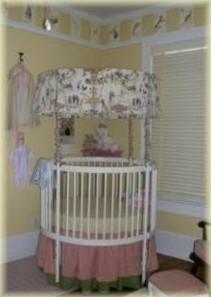 This pink and white nursery was sent to us by Jenna from Myrtle Beach SC, USA. This bold and colorful music inspired baby nursery design was sent to us by Ashley from USA. 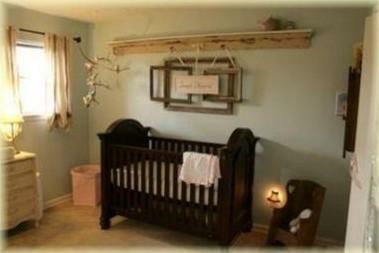 This serene baby nursery was sent to us by Sara Duckett from Orange County, CA. Note the painter's tray on the wall - what a great way to display all your little vintage knick-knacks! 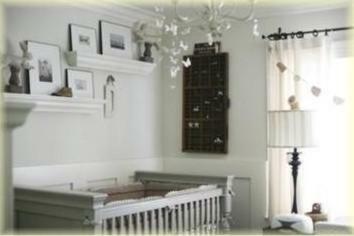 This vintage baby nursery with a shabby chic feel was sent to us by Kari Reynosa (Livermore, CA). 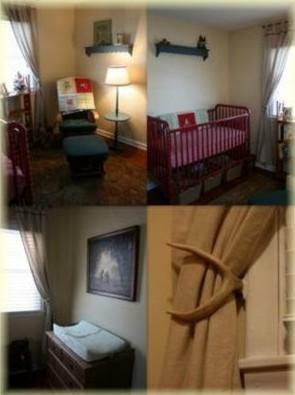 This beautiful, serene vintage nursery with an aviator's touch was sent to us by Michelle T.(Austin, TX). 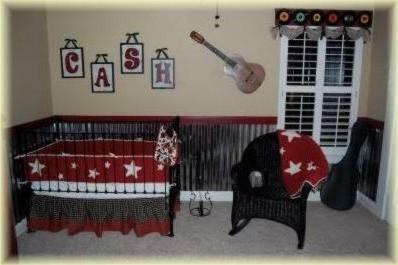 This colorful and unusual vintage nursery with a homemade crib was sent to us by Morgan C. (Lebanon, OR, USA). This vintage nursery with papier mache balloons was sent to us by Rachel Borden (Indianapolis, IN). 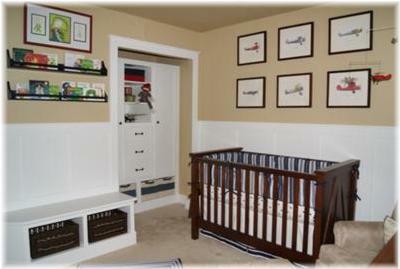 This vintage baby nursery with an airplane nursery theme was sent to us by Meredith (Tuscaloosa, Alabama). 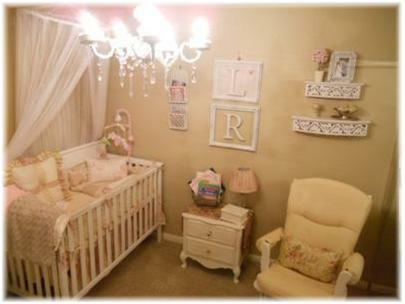 This royal vintage theme nursery in beautiful pinks and lilacs was sent to us by Yanice Picone (Guayama, Puerto Rico). 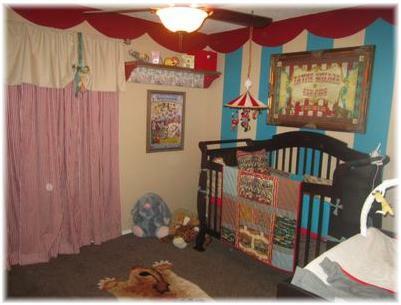 This vintage baby nursery inspired by the big top was sent to us by one of our American readers. 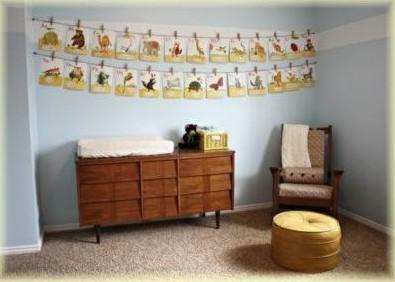 This vintage baby nursery full of hand made goodies was sent to us by Lara Hernandez (Austin, TX, USA). Brooke Shields designed a calm, simple vintage baby room for her new arrival. She used light neutral colors and added vintage accents. It could do with a bit more personality, but it is serene and comfortable none-the-less. I hope these vintage nursery pictures gave you some ideas and inspiration for your own nursery design. Start gathering those antiques and collectibles together and create a vintage haven for your new little one. Join in and show off your own nursery rooms! It's easy to do. How? Simply click here to enter our baby nursery photos contest.